Coming to Amigas Punto Com is a way of receiving group therapy with people I can relate with. This is the first time I attend personal growth workshops. I like the topics APC is teaching now, and I plan to finish. I feel good and I try to participate because I am learning. You are not focused on financial motives youi care about the growth and healing of people. This program has helped me a lot with my self -esteem. Since my depression with panic that I suffered several years ago, I started attending these personal growth workshops. This has helped me. I still need to learn more. 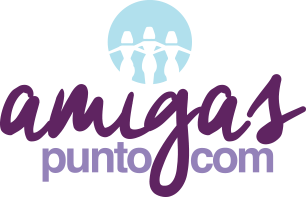 I have continued attending the support group program offered by Amigas Punt Com. I just started attending, but my daughter has been attending for quite some time. The workshops have helped her very much. She suffers from a lot of stress to the point of having been institutionalized. This group has helped me find myself, try not to be obsessive and be able to make my own decisions. This group has helped me a lot in identifying the rood of my problems, such as: depression, anger, self-esteem. APC has been a great support in difficult times in my marriage. They are always available to help us in our needs. I like to come here because I feel accepted and understood. I like the topics and I feel they help me. APC has helped me a lot in my personal growth and in my teenager son’s discipline. I have applied everything I have learned in the workshops, especially the one regarding Boundaries. I have learned to be the mom of my teenage, and I have been successful. Today is the first time I come to APC. I really felt very well since the moment I arrived. I was greeted with a smile. You made me feel welcome. I learned a lot today and I am going to start coming every week. APC has helped me find people with the same need to change , learn to become a better person, and be able to express the negative things that are hard to accept. The workshop is my emotional time because every day I feel the motivation to be a better person and help my family. Coming to the APC group has helped me in difficult times in my life. For example, when I lost my husband, the topic of Loss and Grief helped me a lot. Nnow it is helping me become a better and more secure person and have dreams again. Amigas has helped me understand and realize that I am not the only person going through difficulties. They have helped me become aware of my weaknesses and start making changes that have helped grow emotionally. Ii have started to set goals which at times I thought I was not able to do. I have restored the strength to recover my dreams, and make everything possible to make them come true. I have learned to travel light!! This program is very helpful for me, and I can say it is a must for everyone in general. It helps identify yourself as well as others in a positive way and maintain a peaceful, happy, self- motivated personality by freeing yourself from any brokenness or hurt from past experiences. APC has meant the renewing of my life. I have rescued my self-esteem. I have learned to make decisions and apply saying ”NO” without fear and help my friends in time of need. It has helped me value and love myself. Sylvia R.
I feel glad and grateful to be able to participate in this beautiful group. It has been a great support during this stage of my life. I am sincerely thankful. APC give me peace every week, in case I don’t attend church on Sundays. Coming to APC has empowered my life. It is has and is helping me know who I am and what I am like. In other words, it is transforming my life, and this is the greatest desire of my heart. My name is Maria Garcia. My experience with APC has been very positive in my life. I have experienced changes that have benefited my family and myself. With APC , I have learned what I never learned with psychologists. Since the first day, it changed my life. I am a secure person, I have learned to set boundaries, to forgive my mistakes of the past. Now I feel at peace and feel confident in who I am. I thank God for putting this wonderful group of people in my path.